Well what do you know? 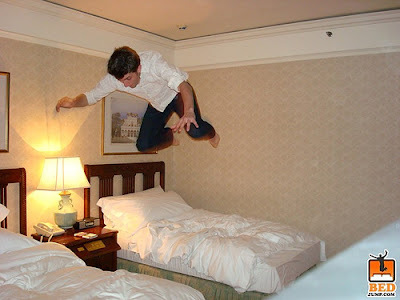 After discovering BedJump.com, Spencer took some shots of his own while in the HK. 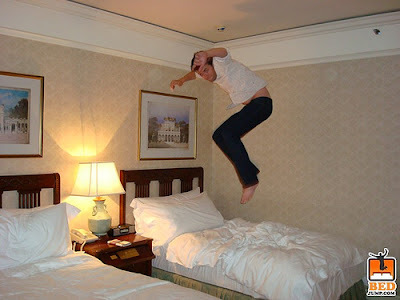 Now the world can share his bedjumpery joy, as the blog posted his photos today. I believe that's a .5 percent increase in famousness. Actually, I'd make it a 3% increase...the site gets 1000's of hits a day!